It’s a common misconception that businesses don’t need to do anything to switch over to the nbn network from their existing services, however switching across is not automatic and has an impact on almost every communications medium used in a business. Unfortunately, the nbn doesn’t just mean faster internet. Phone systems, fax machines, monitored alarm systems, lift phones, medical alarms, fire panels HICAPS & EFTPOS terminals all require an upgrade or to be replaced to be able to work on the nbn network. If the nbn is not available for you yet you can register your business on the nbn website to receive an email when the network is available in your area. Online presence will increase: Small and remote businesses will be able to grow digitally and increase awareness of their stores online due to faster internet experiences. Better online customer service experiences: Faster internet will offer businesses in remote areas to be more responsive on social media, forums and websites than they ever have been before. E-commerce: businesses who may not have been able to offer ecommerce, or who have only been able to have a small offering online, will now be able expand their business and take advantage of offering their products and services online. Overseas export: With a faster internet connection the ability to advertise and communicate with people from all over the world greatly increases. This can bring unexpected opportunities and be a great source of income to small and remote businesses all while helping the Australian economy. 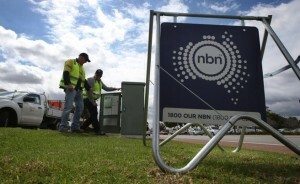 Some other services may be affected such as EFTPOS machines, which run on a landline connection, so they will also be needed to be switched over to the nbn network. Fax machines, alarm panels and fire indicator panels also fall under this category but your service provider will be able to help you out with figuring out what needs to switch over and what can stay the same. Our specialist nbn team have a huge amount of experience with the migration of mission critical services to the nbn and will ensure the transition is seamless for your business. Our Hosted PBX system is the ideal upgrade path when looking to move your phone system on to the nbn. Call us today to find out more about how we can help you switch over to the nbn broadband network.